From Oujia: Origin of Evil to Happy Death Day, we are always excited to create recipes for Blumhouse Films. When we were asked to create a new recipe for their film Truth or Dare, we had to say yes! This recipe provided its own set of challenges but we came up with a fun idea, Truth or Taters! We are also giving away 5 pairs of VIP Screening Passes for a sneak peek at the film! As we mentioned earlier this movie provided its own set of challenges. There isn’t a ton of reference to food and there aren’t any really iconic things that could be used as a design element. This left us with the game the movie is based on, Truth or Dare. We decided we would create a recipe that could be prepared in 2 ways. One would be more extreme for the dare. 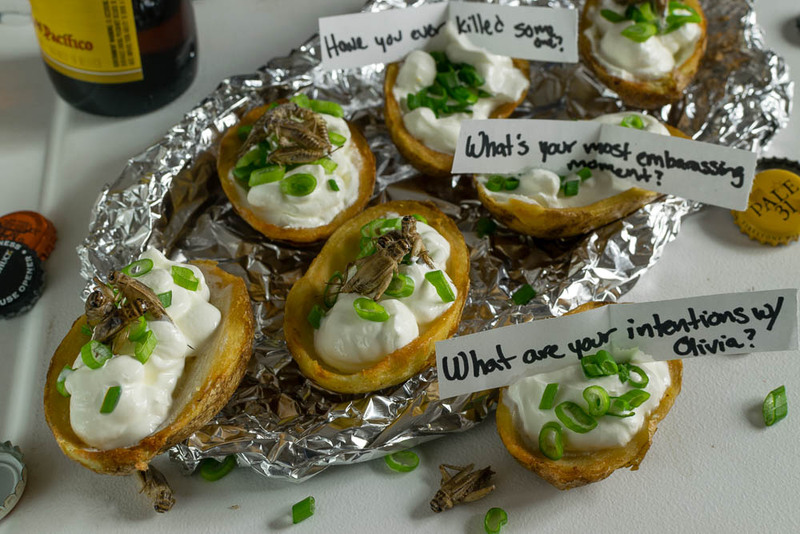 We chose potato skins after seeing Sour Cream and Onion Crickets in a store here in town. 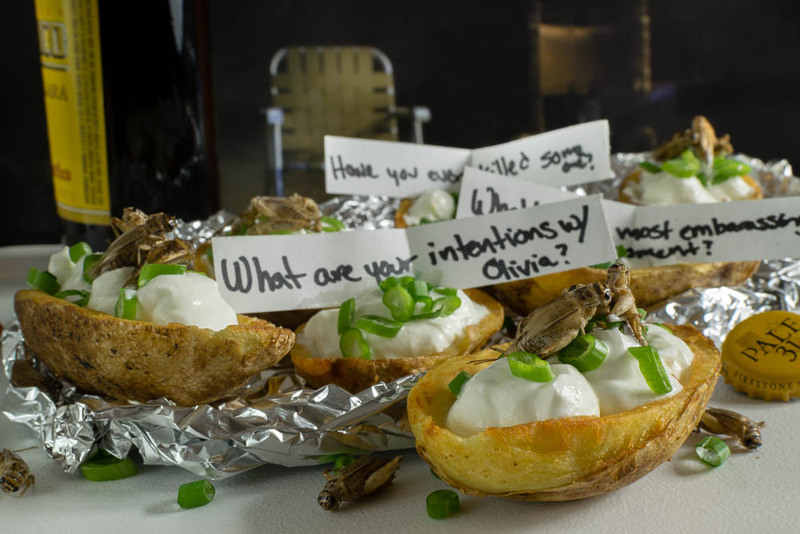 You can customize the potato skins to your taste. We stuck with sour cream and green onions. So which would you pick? Truth or Dare? Before you answer, we are giving away 5 pairs of screening tickets for a sneak preview of Truth or Dare! The screening will be held at Harkins Tempe Marketplace on Tuesday April 10th. The screening starts at 7 pm and the winners should arrive at 6:15 in order to guarantee their seating. Winners will be selected on Monday, April 9th. Good luck!